Enjoy what all spring has to offer in the city. Take photos in front of the flower wall in the Atlanta Botanical Garden or sip on Bloody Marys crafted by local sellers. Here’s what to expect for events happening this week in Atlanta. When: March 20, 7 to 8 p.m.
Start off the springtime by doing yoga that commemorates the Spring Equinox. This session will include gentle stretching and relaxation poses. When: March 21, 5:30 to 8:30 p.m. The Atlanta Botanical Garden will be blooming with flower plantings, a flower wall and attendees wearing floral duds. Attendees can listen to a string quartet, sip on drinks from a cash bar and make flower crowns. Watch some of the most prominent comedians from Atlanta and touring at this comedy showcase. This 21 and over event will give 10 comedians the stage for 10 minutes each. 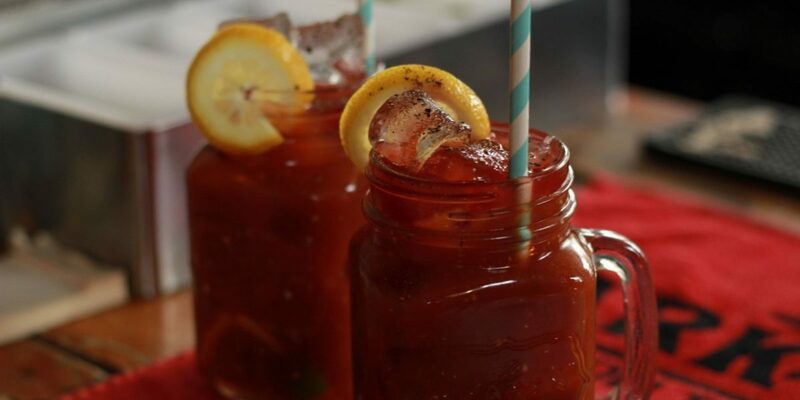 When: March 24, 12 to 3:30 p.m.
Murphy’s, Hugo’s Oyster Bar and Datanna’s are a few of the vendors that will be pouring Bloody Mary tasters at this festival. Food sellers that will be on site include Bogeys Beef Jerkey and Tiff’s Treats. When: March 24, 6 to 10:30 p.m. This adult-only sing along will give attendees the opportunity to sing songs from The Little Mermaid, Mulan, Moana, Frozen and The Lion King. A portion of the sales will go to benefit local arts nonprofits.